JUVÉDERM VOLLURE™ XC is formulated with Allergan’s proprietary VYCROSS® technology, which blends different molecular weights of hyaluronic acid, contributing to the gel’s duration.4† Our first product featuring VYCROSS® technology, JUVÉDERM VOLUMA® XC, was FD-Aapproved to increase volume lost due to aging in the cheek area,5 followed by JUVÉDERM VOLBELLA® XC, FDA-approved for lip augmentation and correction of Perioral Rhytids. 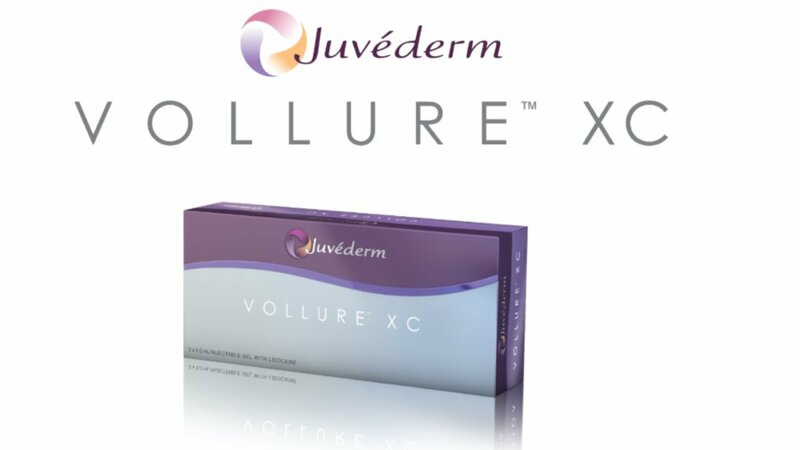 Now with JUVÉDERM VOLLURE™ XC, the advanced VYCROSS® technology yields a custom engineered injectable gel product which was studied in the nasolabial folds, the number one dermal treatment area. It delivers a long-lasting result, up to 18 months*, that patients appreciate. What’s exciting about JUVÉDERM VOLLURE™ XC is that it was shown to last up to 18 months from the initial or touch-up injection in a majority of subjects, which is the longest lasting result shown in a clinical study in the nasolabial folds. As the number of patients seeking dermal filler treatments continues to grow, the technology created by Allergan has also followed that same trend, with a full range of products that will allow for tailoring of treatment based on specific patient needs. The most common side effects seen in the clinical study were temporary injection site responses at the treatment site such as swelling, tenderness, bruising, firmness lumps/bumps, redness, pain, discoloration, and itching. Most of these side effects resolved within 1 week. Q: How does JUVÉDERM VOLLURE™ XC fit into the rest of the JUVÉDERM® Collection of Fillers? A: The JUVÉDERM® Collection includes a spectrum of fillers specifically designed for different treatment areas and patient needs. JUVÉDERM VOLLURE™ XC brings VYCROSS® technology to the most requested dermal filler treatment area – nasolabial folds. Q: JUVÉDERM VOLUMA® XC and JUVÉDERM VOLBELLA® XC are also formulated with VYCROSS® technology. How does JUVÉDERM VOLLURE™ XC compare? Q: It seems like JUVÉDERM VOLLURE™ XC is very similar to JUVÉDERM® Ultra Plus XC. What sets them apart? Q: Is JUVÉDERM VOLLURE™ XC a replacement for JUVÉDERM® Ultra Plus XC? A: No, JUVÉDERM VOLLURE™ XC and JUVÉDERM® Ultra Plus XC are both indicated for moderate to severe facial wrinkles and folds, but their gel properties are different,1,4 so physicians now have an additional treatment option for patients. Your doctor will decide which product is most appropriate based on your specific needs and treatment goals.